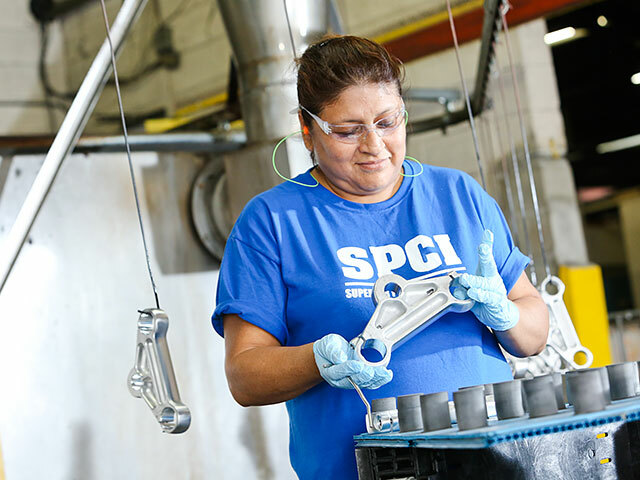 Our ISO 9001 registered facility processes well over 120,000 parts per day. Our QMS (Quality Management System) will ensure that every one of your parts is processed to meet your standard of performance. Quality is a top priority. We have been ISO registered since 1998 and are approved to a wide variety of performance specifications for the many markets we serve. Every employee receives quality training. 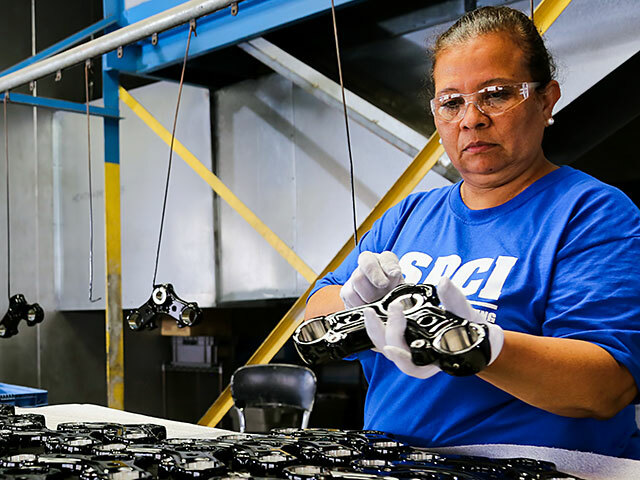 Every part is digitally entered into its own unique work instruction which details every aspect of production and quality to insure that each part is processed the same, every time. Upon receipt your product is identified, labeled, and the containers are inspected for any shipping issues. Throughout the coating process our trained operators are continually monitoring and inspecting. Prior to packaging items are inspected, verified, and signed off. We process parts 24 hours per day. Each of our coating systems has automated controls and alarms. In addition to these controls, each process parameter and chemical bath are verified by a maintenance technician every shift. We also have a full preventative maintenance system with daily, weekly, monthly, quarterly, and annual requirements. Consistent quality, delivered on-time, at a reasonable price is the foundation to both of our success.